Not only do these candida diet bad foods contribute to candida yeast infections but they also weaken the immune system. For instance, processed wheat and simple grains do not contain enough fiber to move them through the colon fast enough, so they sit in the colon too long and ferment. This fermentation process creates alcohol that causes over acidity and acidity kills good bacteria, your first line of defense against candida yeast. They are also converted quickly to sugar which feeds candida yeast during digestion. Not only that, but we have been eating grains for only 10,000 years and we still cannot digest them. That is why all grains have to be cooked before we eat them. Although some of them are allowed after two to four weeks, I still would not eat them, but it's up to you. Typically a meal of the standard American diet takes 100 hours to make its way through the body because of all the processed foods that we eat. On the other hand a person that eats a more naturally candida free diet, high in vegetable fiber, their meal only takes 20 to 45 hours and this keeps the colon at its neutral ph level. The food does not have the time to ferment and create alcohols that kill good bacteria. Vegetable fiber also feeds good bacteria and helps it to grow. Good bacteria are 75% of the human immune system, so they are very important. All disease, bad bacteria and parasites thrive in an acidic environment because they lack oxygen and food is plentiful. Many people say that candida yeast does not like an alkaline environment. However, candida yeast has been found to grow in a ph range of 2.5 to 8.0, so it does not matter other than acidity kills your first line of defense against candida yeast: good bacteria. However, this acidic fermenting toxicity slowly destroys the intestinal integrity of the walls of the intestine which can lead to leaky gut syndrome. Wheat also contains a protein that breakdowns the intestinal cell wall causing leaky gut. Leaky gut syndrome causes food allergies, skin rashes, breathing difficulties, hives and fevers to name a few. A candida free diet full of fresh whole foods cleanses the colon and strengthens the intestinal walls. Also, vegetables and low glycemic fruits feed the good bacteria that defend us from the foreign pathogens that are present in every one of us. However, and this is a biggy: You must have good fats in your diet if you're going to avoid the major degenerative diseases of our time! Most of these good fats come from quality meats and fish. By quality I mean wild game, grass fed beef, buffalo, free-range chicken, mercury-free wild salmon and other fish. It is best to double-check this candida free diet bad foods list against the good foods list because it is more complete. If you don't see a food listed on the good list, it should probably be avoided. However, if you double check the food in question against the carb and glycemic index and find it to be low, and also low in fructose, then it should be ok to eat. Sugar and simple processed grains including wheat, corn, white rice, breads and pastas because sugar and simple carbs feed candida yeast. 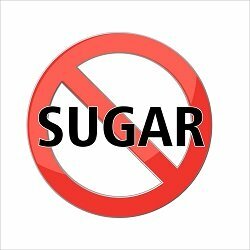 High glycemic and moldy fruits should be avoided on the candida free diet because of the sugar or molds they contain. Potatoes, legumes, and beets are candida diet bad foods because of the high starch and sugar content. Legumes also contain toxic alkaloids that defend the bean in the wild. Some of these alkaloids are cyanogens like cyanide. I think we all know just how poisonous cyanide is. Yeasty foods like bread, pastries, alcohol, and hydrolyzed yeasts. Breaded meats and egg substitutes are candida diet bad foods and should be avoided. Eggs and margarine substitutes. Eggs themselves may or may not cause a problem for you if you are not allergic to them. If you aren't allergic to eggs have them, but I would not eat them everyday. Also I would only eat eggs from free-range hens or with the correct omega 3 fatty acid profile, I suggest Egg-land's Best. Vinegars should be avoided and this includes pickles, green olives, soy sauce, ketchup, mustard, BBQ sauce, worcestershire sauce, pickled peppers, hot sauce, salad dressings, dips, mayonnaise because they usually contain fructose or sugar. Peanuts and pistachios are candida diet bad foods because of (almost) universal mold contamination. Cashews should be avoided as well because they are actually a bean and are often moldy. Diet and regular sodas, coffee or teas with cream and sugar, chlorinated and fluoridated water. Herbal teas are ok and a cup or two of black tea won't hurt either. Dairy, especially milk because it has been proven to cause blood sugar spikes. It is also so acidic it actually leeches calcium from the bones and teeth. Butter however is ok and cheese as a condiment is too.. If you are having a problem figuring out what to eat, these cookbooks are pretty good. I own these books and most, but not all, of the recipes are candida diet compliant. There is also quite a few candida diet recipes on this page. 1. Mycopathologia. 1996;135(2):85-8. 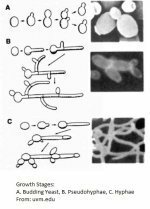 Influence of fructose on Candida albicans germ tube production. 2. Med Arch. 2012;66(6):415-7. The relationship between oral hygiene and oral colonisation with Candida species.